This entry was posted in Health, Health & Fitness. Bookmark the permalink. Arthritis is a debilitating condition that can manifest in a number of ways such as in gout, osteoarthritis or rheumatoid arthritis. Arthritis symptoms also appear in auto immune diseases such as Lupus and Scleraderma. Patients suffering from any form of arthritis my experience depression, isolation and crippling deformities if the disease is not properly managed. Natural home remedies treat arthritis symptoms, and are the choice of many arthritis sufferers. Home remedies for arthritis can offer significant savings on doctor’s visits and conventional prescriptions. Many home remedies for arthritis reduce inflammation, relieve pain and stiffness, and in some cases, give some patients back their full range of motion. If you have not already tried some of the best natural home remedies for arthritis, now is a good time to start. Two well known supplements, glucosamine and chondroitin are widely known natural cures for arthritis joint pain relief. Together they reduce joint pain tenderness and increase mobility. They are made from crushed shellfish so take care if you have shellfish allergies. Lots of positive effects have been seen from the consumption of Omega 3 fatty acids, explains the Arthritis Alternative website. Fish oil, which contains Omega 3 fatty acids, offers joint and muscle pain relief and anti-inflammatory effects for arthritis symptoms. 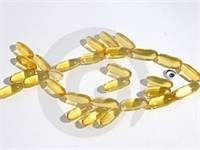 Use pharmaceutical grade fish oil, which has had any impurities removed. You’ll find it at local pharmacies, health food stores and online. Stinging nettle is an old-timers home remedy for arthritis symptoms and joint pain. The dried herb may be consumed as a tea using the leaves and stems. Make a soothing tea by mixing 1 tbsp. of nettle tea leaves in 1 cup of boiling water allowing it to steep for 15 minutes. Drink 3-4 cups a day for relief from the symptoms of arthritis. Add a dollop of raw honey to sweeten. This tea is also good chilled and taken in summer iced. If you prefer, use stinging nettle oral fluid extract, available at health food stores. The recommended dose is 1.5 ml of the root extract or 2.5 ml of the leaf extract consumed 3 times per day. No home remedies collection should go without the presence of capsaicin, a topical treatment for reducing arthritis joint pain. Capsaisin is known to be effective in relieving swelling and inflammation of the joints and surrounding tissue. Capsaisin is an ointment made from hot chili peppers and is available in pharmacies. Using capsaicin may be somewhat uncomfortable initially, possibly causing stinging or burning sensations, but after several uses, the neurotransmitters in the skin become accustomed to the hot pepper ingredients and respond positively offering relief from arthritis pain and stiffness. A powerful Ayurvedic herb, tumeric, offers relief from arthritis symptoms, stiffness and swelling, reports Holistic Online. Its active ingredient curcumin, is reported to have potent anti-oxidant and anti-inflammatory properties, as effective as those of cortisone, for certain kinds of pain. The suggested dose is 400-600 mg three times a day. Used in India for centuries, turmeric is one of the best home remedies for the treatment of rheumatoid arthritis. Clinical trials have shown its efficacy. In many instances home remedies for arthritis are much more effective at reducing or eliminating the symptoms of arthritis and giving people back a reasonable semblance of normalcy in their lives. If you suffer from rheumatoid arthritis, gout, fibromyalgia or osteoarthritis, it is never too late to try home remedies to experience their gentle, soothing relief for joint and muscle pain relief. What is the best non-invasive cellulite treatment? Is Advanced brain surgery India the best option?